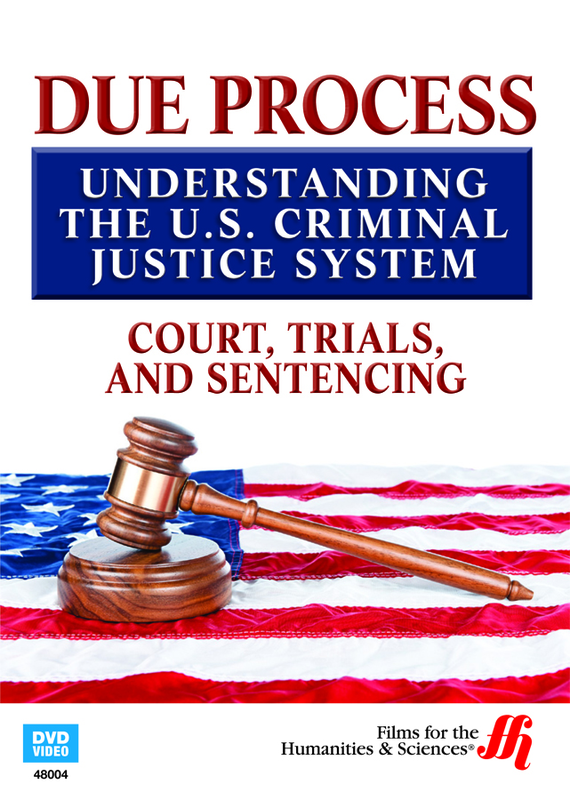 Enjoy an in depth look into the United States court system and discover the ins and outs of what happens before, during, and after a criminal trial. Despite what you see on television, the legal court system is anything but fast and dramatic. More often than not, trials can stretch for months or even years, as each player in court takes time to tediously put together their cases. Even criminals in the United States are afforded their rights and presumed innocent until proven guilty. There are entire lifetimes on the line, so everyone involved takes the time to get it right. Even before the actual trial starts there are loads of court dates, paperwork, and conferences. Some cases don't even make it to an actual trial, with defendants agreeing to take plea bargains to lesser charges. Even if they refuse to plea, a defendant is still entitled to an efficient trial and a jury by their peers. Of course, criminal cases are rarely simple and easy. This episode of Due Process is a comprehensive guide to the basics of the United States court system. We're taken from the very first pretrial and arraignment procedures, all the way to sentencing and appeals. This is a must-watch for anyone interested in studying law and needing a beginner's look into the trial process. Court, Trials and Sentencing � The criminal justice system can be boring, slow, and technical. There can be several months before a final outcome is determined. Courts decide cases through a system that involves a defense lawyer and a prosecutor. Pretrial Procedures � The Constitution of the United States protects the rights of those who are accused of crimes. After an arrest following an investigation, the guilt or the innocence of the defendant must be determined by the court system. There are several pretrial procedures that can be involved including filing charges, finding probable cause, and holding preliminary hearings. Arraignment � The accused may be required to stay in jail or be released on bail before a trial. The next step of a trial is to appear before a judge to face charges. Pleas can be entered before this phase including not guilty, no contest, and guilty. The right to legal counsel is protected by the United States Constitution. Plea Bargains and Pretrial Motions � Adults and juveniles both often have the option to plead guilty to a lesser charge, and most cases are settled in this way.